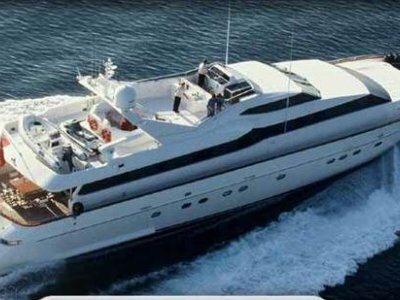 The President 107´ tri-deck is a classic style yacht that affords immense volume truly setting her apart from the competition in this size range. 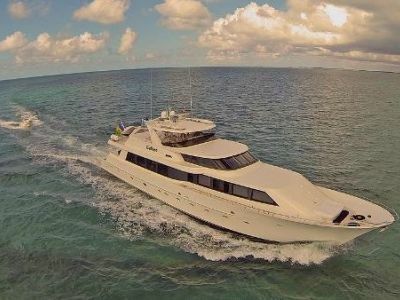 Thanks namely to her 24 foot beam the yacht feels like a 120 footer; every room feels larger and every space seems more accessible, without sacrificing the things that make a yacht functional. I challenge you to find a vessel in this class that yields the volume of this President. She kept critical features her competition doesn't like walk around decks on every level, a more than generous crews quarters and a massive engine room with the lighting of an operating room. 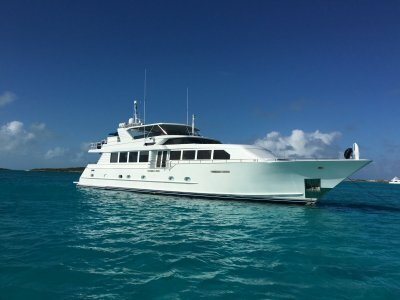 D-Fence is stabilized, outfitted with twin generators, a water maker, a sewage treatment plant, bow and stern thrusters, a sky lounge stateroom and perhaps most attractively; Caterpillar c32 alert engine with under 600 hours. 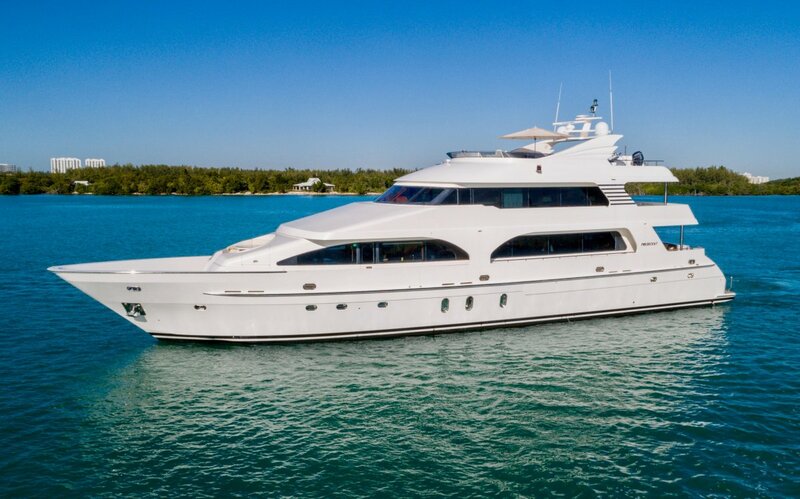 This President Motor Yacht is seriously for sale with an asking price well under market comps and is US Duty paid being offered for sale by her original owner. 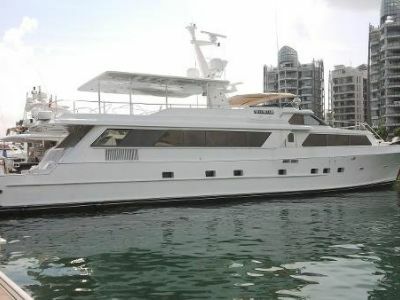 D-Fence is easy to show in Miami, Florida and her keen seller will consider any and all reasonable offers. Trades considered, please allow advanced notice for showings.